While friends sent us very merry messages from Electric Picnic, Stephen and I browsed the aisles of Ikea and spent some time at our home office DIY. 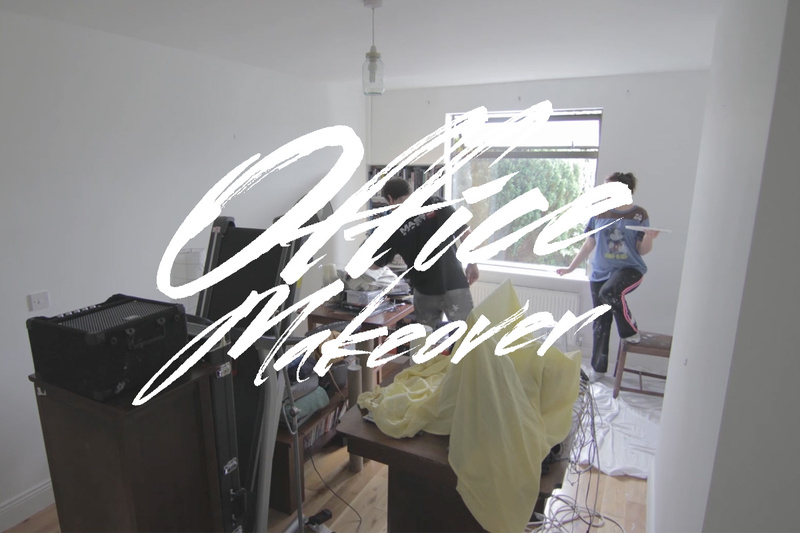 It was a lot of dancing around in paint splattered hair and jammies, complaining that our new desks wouldn’t fit in the car, pouring drinks, checking wee Wendy’s paws for white paint, making a mess, cleaning paint off the floor and actually painting the walls. We have a little bit more work to do, hanging new curtains and setting up the desks and lamps but so far we are really happy with how it looks. We are that little bit closer to achieving that white, clean Pinterest perfect look we love and have been swooning over since we first decided to move in together. Weekend well spent <3 Ill update this post with the finished room next week! I hate Ikea. I think I like it until I’m there and then you can’t just leave because by the time you realise you want to leave it’s too late and there’s a “system”. It’s a huge confusing maze with showrooms set up, giant lamps, the even more mind-boggling restuarant that makes you feel like herded cattle (QUICKLY CHOOSE WHAT YOU WANT BECAUSE THERE”S A MILLION BJILLION PEOPLE BEHIND YOU!!!!) and then the place where you pick up what you want to buy but you’ve forgotten to write down the model of that bookcase you wanted with the unique name because they’re kooky like that in Ikea. It’s all a ploy to keep you there forever. Why do you think there are so many beds??? Yep an evil ploy…. you may even witness a couple murder one another.